As I stated last post on market stall research I have done, most of the stalls have signs denoting the business name, pricing of items, sales, and some product advertising. We spent this last weekend putting velcro on the gazebo for the business name signs. My business is called Warratahstree and I have just the photo to use as my main display. 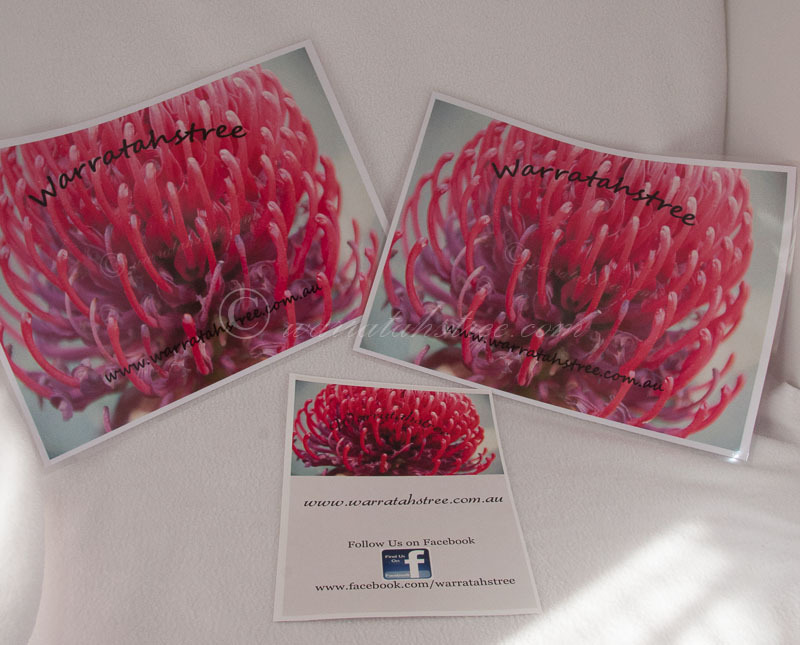 We had a Waratah tree out the front of our house and took many photos of the stages of the flowering of the waratahs on the tree. Here is the signs I have made. 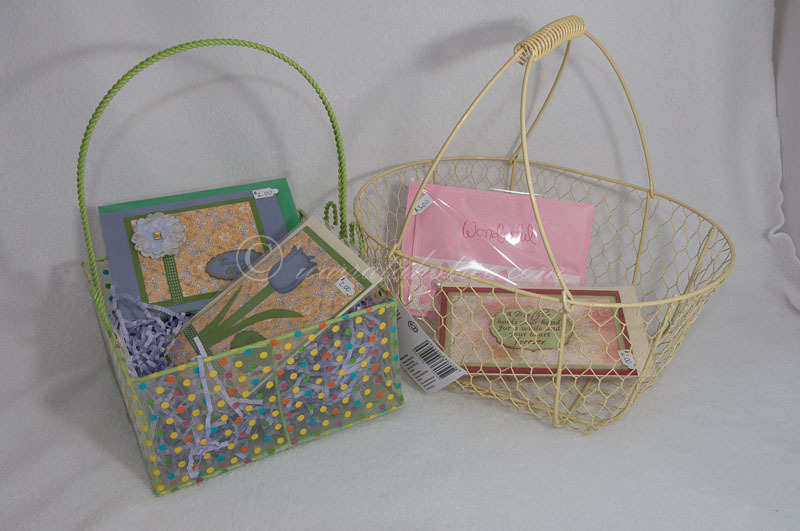 The bigger Image is for the gazebo and the smaller one with the facebook details is going on the table. I will need to make a few pricing signs. 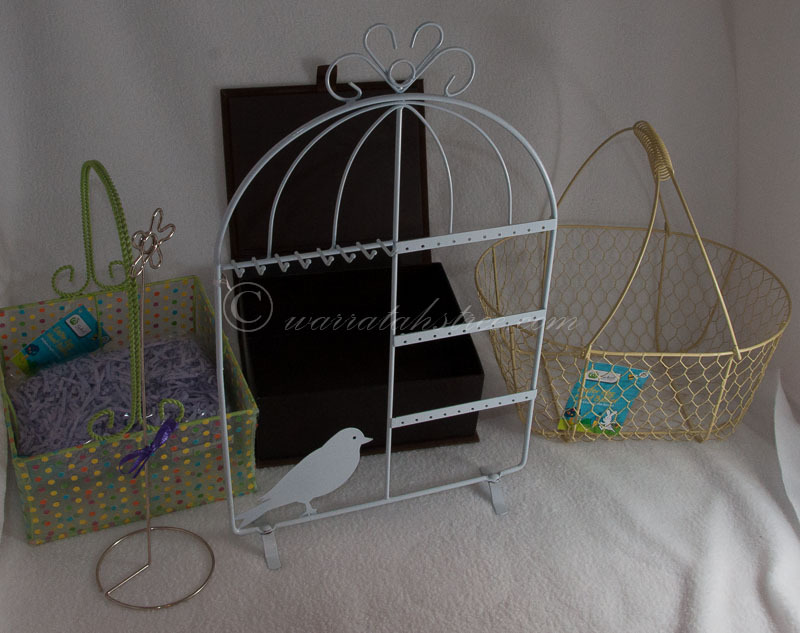 I went to an office supply shop and got a few clear plastic sign displays for the signs that will go on the table. 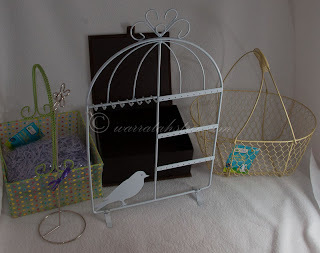 I have found a few cute displays for displaying my jewelry and cards. I went to a supermarket the other day and found some cheap cute Easter baskets for the Mother's day and Easter cards. So cute!